Having your Furnace act up in the dead of winter is never fun. 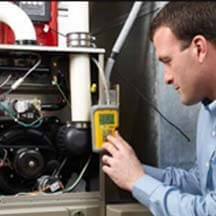 Whether it is a Routine Service, Emergency Repair, or a New Furnace entirely, We’ve got you covered. Why suffer through another hot summer? 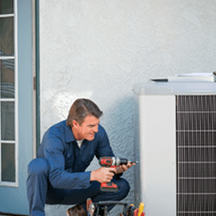 Air Conditioning is becoming more and more popular in the Northwest, And you can rest easy knowing we can tackle any Repair, Maintenance, or Installation with ease. 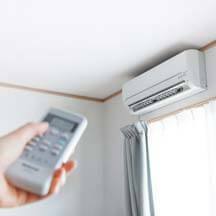 Ductless Heat Pumps are one of our most popular systems for low cost, Energy Efficient Heating and Air Conditioning. Whether you need a Repair, Maintenance, or a Installation, We’ve got you covered. Healthy indoor air quality is essential to your quality of life and ability to be comfortable inside your own home. Whether it is allergies, dust, germs, odors, and beyond, you can count on us to provide the right solutions to fit your needs. We offer great financing options through two reputable lending providers. Puget Sound Cooperative Credit Union and Wells Fargo. If you are interested in an energy-efficient heating, cooling, or hot water system, we recommend Puget Sound Cooperative Credit Union, which has very affordable, low- or no-interest financing for equipment. We’ve carefully created a unique Preventative Maintenance routine for all major system types using years of input from our technicians in the field, questions from our clients, the recommendations of leading manufacturers, and national standards from professional organizations like the ACCA. While I was working for the City of Bellingham, on several occasions, I was tasked with the responsibility of ensuring that HVAC contractors did repair and replacement work to certain facilities within contract guidelines. I didn’t choose the contractors, but I did provide advice as to whether the work was completed properly and that the City’s money was well spent. This gave some insight that was valuable when I needed to replace the furnace in my home. 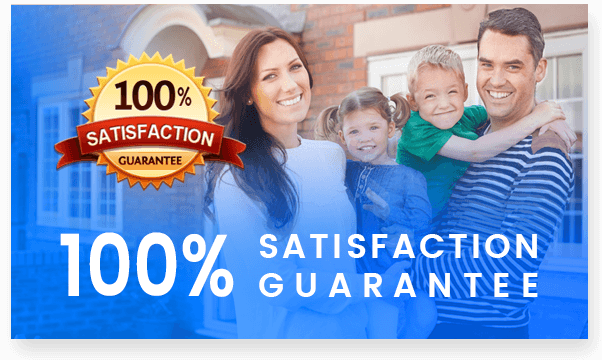 What I had noticed was that Marr’s Heating was reliable, responsible and the most economical HVAC contractor I worked with. We were about 15 years into service on that house and the furnace was giving me some trouble occasionally. It was a “spec” built home so builders tend to buy heating equipment as cheaply as possible. I called Ken Marr to come look at it. After inspecting the unit and resolving the latest issue Ken advised me that I could probably get a few more years out of it. Mr. Honesty! I asked him to give me a bid on a replacement with a new high efficiency unit as I didn’t even want it to hiccup again with winter coming on. .
We recently purchased a home and the seller left us with a heating unit that didnt work. They got a tech (Jacob) out to our house immediately and he did a very thorough job and got our heating up and running! Very easy to work with and very professional. I would recommend them to anyone! I really have the upmost respect and admiration for Ken Marr and his son, Jacob. They have always come and solved the problems they said they would solve, even when it ended up costing them lots of extra time and effort that they never bargained on. I have used their services since moving to Bellingham nearly 5 years go. I will continue to call them first with any problems I amy have with my water heater, furnace, and plumbing problems. I trust them which is something that is difficult to say about too many plumbers these days. Keep up the nice work Ken and jacob. Quick, courteous, and economical help from the office staff. Thank you for an easy purchase. This was the fourth place I had stopped and looked for these parts. I will definitely keep your name and number in my “GO TO” book. We recently bought a home that desperately needed an upgrade when it came to heating. With the hope of supporting a local, family owned business, we called Marr’s. Within a week we had an estimate and installation date set for a ductless heat pump. Installers were kind and professional. Office staff were knowledgeable and offered advice on financing options and PSE rebates (we’ll be getting $1200 back!!!). From beginning to end, the process was flawless. We love our heat pump and we have recommended Marr’s to several people.